We help you create patterns through cohesion— by harmonizing words, icons, colors, photos and brand messages. A harmony that generates enough recognition that your brand turns into a memory. A memory stored in your consumers' subconscious minds. Granting you the ability to influence those millisecond brand selections. We help you understand your consumers’ subconscious goals and show you how, where and when your brand needs to deliver on them. We create a map for your brand to regularly reactivate brand memories that reiterates both your brand’s promise and the proof that it delivers. We help your brand maximize reward and minimize energy, costs, efforts and risks to activate your consumer’s reward center. We interpret the right data to write for and reach your audience emotionally. Instead of pushing a product, price or promotion into a siloed container. When it comes to branding, your story is everything. We make sure yours is exceptional! Most of us begin learning stories before we can even read. The stories that we happen to remember are the ones that leave a lasting impression in our subconscious. Which is why consumers unconsciously select brands in the matter of milliseconds— because somewhere there is a stored memory of that brand we are not consciously aware of. We help you use this understanding to create patterns through cohesion— by harmonizing words, icons, colors, photos and brand messages. A harmony that generates enough recognition that your brand turns into a memory. A memory stored in your consumers’ subconscious minds. Granting you the ability to influence those millisecond brand selections. Your brand can be a true agent of change and transform the way people think, feel and act. 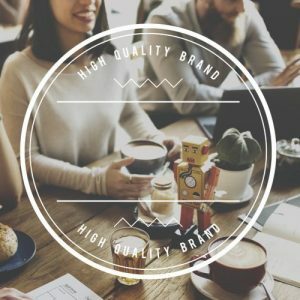 How can we make your brand human?